Remember Wolfbones? Kayla Loren's (of Heroes and Underdogs) awesome new project who released that amazing cover of Paramore's "Still Into You" last year? 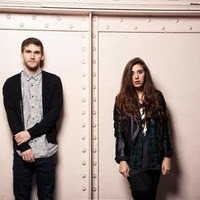 Well, today we couldn't be more excited to premiere "underground" - the duo's new single! The track is out now and can be purchased digitally via iTunes.